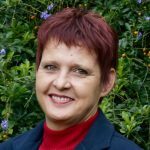 Dr Arien van der Merwe is a natural, holistic, integrative medical doctor who has been practicing in this field since 1995. 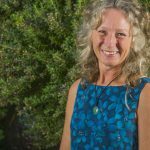 She is a specialist holistic counsellor, incorporating mind, body and soul in her treatment protocols. 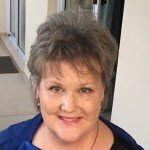 Arien is also a medical specialist in workplace wellness, owns the Weight Control Clinic started by Dr Gauché in 1974, teaches stress management & relaxation techniques, incl. mindfulness, and emphasises youthful living and longevity. She is an experienced public speaker, facilitator and trainer. Arien is an internationally published author of countless books and training manuals. 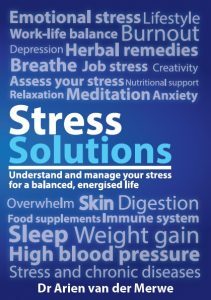 Her newly edited and revised book ‘Stress Solutions’, has just been released, once again with the accompanying relaxation CD, ‘Stress Solutions: Relax and Unwind’. 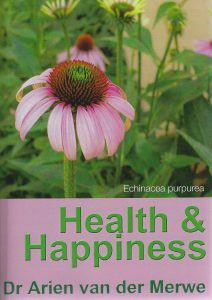 Her book ‘Health & Happiness’ originally published in 1998, has been revised and edited, and is now in its 13th print. Her latest book is ‘Managing Diabetes and Related Health Challenges’ (Afr: ‘Hanteer Diabetes en Verwante Kwale’), published by Human & Rousseau. She is currently busy writing her new book ‘Inflammaging: chronic (persistent) inflammation, the fuel that flames the fire of all today’s chronic degenerative diseases’. Dr Arien is registered by the Natural Healers Association (NHA) as Trainer and Ethno-Medicine Practitioner in the field of Traditional Health Care, by the Association for Supportive Counsellors & Holistic Practitioners (ASCHP) as Specialist Holistic Counsellor, and she is a Member of the International Stress Management Association (MISMA), UK branch and SASIM (SA Society of Integrative Medicine). She developed and registered 2 Continued Professional Development (CPD) Accredited Courses: ‘An Integrative Approach to Managing Diabetes and Metabolic Syndrome’ – SAMA, 6 points; and ‘An Integrative Holistic Approach to Medicine’ – SAMA, 4 points. Arien developed an online Practical Stress Management Course through the Foundation for Professional Developed (Training Dept. of SAMA) which has been accredited with 30 CPD points for medical doctors, psychologists and related health practitioners. She developed an online course (12 Weeks to Optimal Health and Wellbeing) available through her website, as well as ongoing online courses for Educate24 (Media24 company). Both the Practical Stress Management and Your Health and Wellness Courses are available on the Educate24 website. Dr Arien has developed the Timeless DNA™ Youthful Living Program with courses and online programs to entertain, enlighten and educate people on how to become a healthy, happy 120 years of age (our natural lifespan!) embodying the concept of beauty within, beauty without and beauty of being. 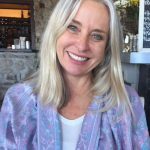 Arien is a passionate writer and teacher and loves to share her experiences and knowledge about healing and wholeness, hoping to inspire others to live healthier, happier, more fulfilled lives. Dr Arien writes for, and consults regularly, for many real time (e.g. Natural Medicine Journal) and online magazines and newspapers in South Africa, and appears in countless national radio and TV shows (e.g. most recently and ongoing: DStv Home Channel 176: Real Health and kykNET) as guest. 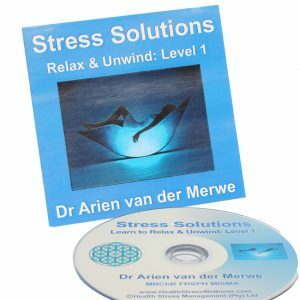 Arien is the Director of Health Stress Management Gauteng (Pty) (Ltd) and Co-owner (with Anri van Rooyen) of Ariani Health Solutions, based in Faerie Glen, Pretoria, now also in Hermanus and online. 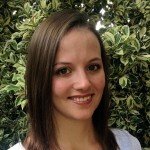 Anri van Rooyen [BSc (Genetics, Psychology & Physiology), BSc Hons (Human Physiology), MSc Sport Physiology] is a Highly Qualified Health & Fitness Scientist and Co-Owner of Ariani Health Solutions. Anri is also registered as a Holistic Counsellor at ASCHP (Association for Supportive Counsellors & Holistic Practitioners) and assists patients on their health and fat loss journeys. She also manages The Weight Control Clinic at Ariani Health Solutions. Anri developed PlayFunFitness™ to incorporate fun and effective exercises for optimal fat loss, strength and muscle toning. Exercise is a necessity for a healthy lifestyle and needs to become a habit for everyone. Anri takes fitness level into account when working with clients. If you are a member at a gym or prefer to gym from home she can give you a personalised program suited for your need. Anri is also available for fitness consultations, screenings and fitness tests. Carol is the registered nurse at our Weight Contr ol Clinic Hermanus Branch. Shellean is the reception/admin go to girl in Hermanus.